Our group was set up last Autumn with a mission to preserve and enhance this wonderful community asset. We now have several hundred followers and value the support we have received from you all for events such as our Open Day in January which saw the launch of our Dossier. This sets out our Mission and Objectives and the challenges we face in achieving them. There was also the memorable cycle ride from The Cross to Lavant with Gillian Keegan, our MP, on a glorious day in April. Our next big event is at the Festival of Chichester. Join us for a summer celebration on Centurion Way. There will be a summer-themed quiz, refreshments and chalks for children to decorate the path. We will highlight its heritage and wildlife with guided walks of the vital southern section and a cycle to the Railway Men opposite The Amphitheatre near Lavant. 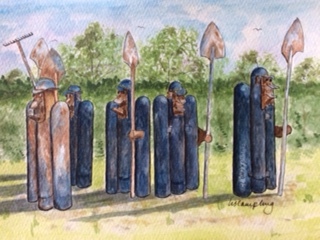 To raise funds for Friends of Centurion Way there will be two original water colours and greetings cards on sale by local artist, Lis Campling. Meet at the railway bridge at the Southern end of Centurion Way at 2pm. Admission free, wheelchair access. There has also been much activity behind the scenes to raise our profile and establish links with local decision-makers. We have been privileged to attend meetings of Chichester City, Chichester District and West Sussex County Councils. We have followed up these meetings by providing councillors with details of John Grimshaw’s visionary designs for Centurion Way, setting out the benefits these could bring to the city. 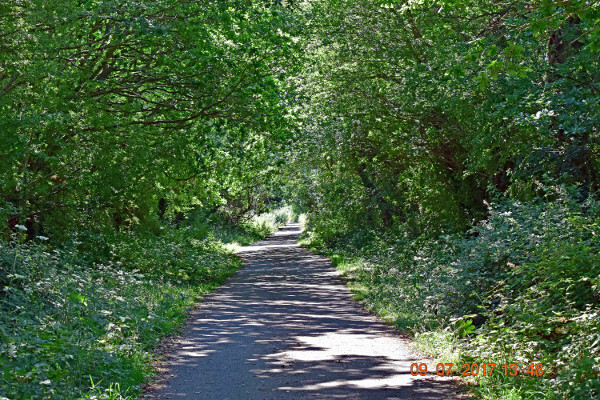 They would preserve the existing path from Chichester to the South Downs and provide safe segregated routes to the city centre, to Fishbourne and beyond. These contacts have led to us being invited to join the Infrastructure Steering Group for Phase I of the Whitehouse Farm (WHF) development which has its first meeting on 19th July. We are not alone in having concerns over the impact of the Whitehouse Farm development and we have shared our thoughts with Parklands, Westgate, East Broyle, North Walls, West Walls and Summersdale Residents Associations and with Lavant and Fishbourne Parish Councils. We have also attended the Lavant and West Dean Fetes where interest in our campaign remains high. The South Downs National Park Authority is also strongly supportive. In the article by John Grimshaw in the March issue, when he revisited the path he had designed in the early 90’s, he was pleased to see the Way so well used and maintained. 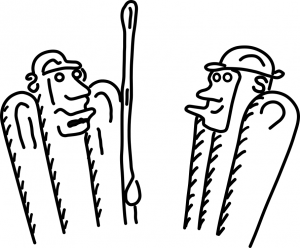 However, he was concerned at the threats posed by the developers. In the June issue, we stressed the importance of creating a safe interface with the new Southern Access Route (SAR) to WHF and touched on the longer term opportunities for creating a win-win outcome to the transport links between WHF, the City and the South Downs for all users of the path be they on foot, pushing a wheel chair, or cyclists commuting to and from work. We also highlighted the wildlife aspects of the Way that would be under threat if any diversion were created. To keep you up to date with what’s happening concerning Centurion Way our web site www.centurionway.org.uk is updated regularly. 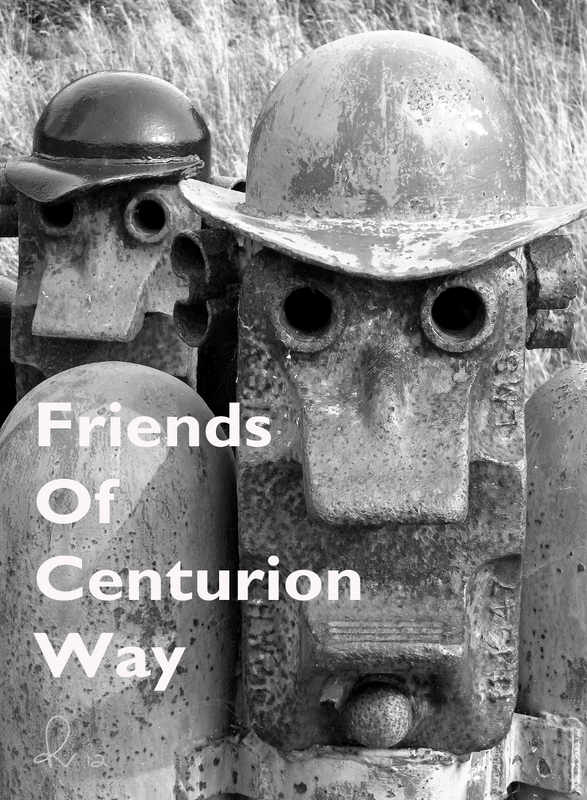 We’re on Facebook and you can E-mail us on friends@centurionsway.org.uk. We would love to hear from you. This is a critical stage in our campaign to preserve and enhance Centurion Way so please keep spreading the word!